Difference Between www and Non www URL will automatically make you to understand the fact, for a new domain today, there is no reason to use www URL anymore. In a previously published article we wrote about the egoistic fight between two groups – www and non www URL users. Today, no one runs on such ego and try to find the difference between www and Non www URL rather people thinks why there are two ways to the same web directory and which might have a plus point over the another. Difference Between www and Non www URL : Why the Hell Two Forms exists ? www is World Wide Web. If you have to blame for getting confused with www and non www, it is World Wide Web who actually made it. The inventors are Tim Berners-Lee and Robert Cailliau and the company is CERN (European Organization for Nuclear Research). Internet was existent before www came. Before this World Wide Web or www before url with a dot, there was Internet which was used for a range of Internet protocols like telnet, gopher, FTP, etc. which we still use. Basically at that time not much number of peoples personal owned only one domain. At that time symlinks were added from the serverside for common functions. smtp.example.com was for outbounding SMTP server, ftp.example.com was for ftp, www.example.com was for interlinked hypertext documents intended to be accessed via the Internet using a browser. Today, It is mostly used to separate cookies from the other subdomains. So on the front end, in this era of Cloud Hosting with dynamically allocated IP address with separate CDN, there is no need of www if the domain is new or never used www – this is solely for SEO, nothing technical to keep the www for the urls which has www since it has started. This caused the Difference Between www and Non www URL now. The use of that www subdomain name is useful for very high level managed setup for proper load balancing by creating a CNAME record that points to a cluster of web servers. As most do not use a loadbalancer and even if now uses, we actually do not configure in the old way anymore. If there was really Difference Between www and Non www URL today, we would get better page loading speed with the www part. You can test with your website (if you are rightly using redirection, temporally turn it off) and actually you will get a minute lag in www subdomain. It happens due to other reasons. We configure vhost.conf file in the /var/www/vhosts/example.com/ to point towards the non-www domain. www is not used in configuration. This is why for creating a subdomain, you will always get non-www version URL of the subdomain by default. The difference between existence of www and existence of a language named Sanskrit is the same. Sanskrit is an Indo-Aryan language with which is spoken by 10K people among 120 people in India. It is used for Mantra as they were written few thousand years ago. The usage of Sanskrit has been funky and some geeky now – the word Mantra itself sounds great or reads great on your T Shirt. Definitely, Sanskrit was a important language once. For understanding the history of Indo-Aryan things, Hindu core spirituality. Hinduism was never a religion itself, its a way of thought, the current form is comparable with battle with www and non-www URL. Except already indexed or backlinked, Google Search Engine do not consider the www. part. It never counts it unless the non-www and www URL can be separately opened on browser – for this we perform a redirection. For branding purpose probably non-www is more nice since the domain name can be used as Company’s name. WordPress website itself uses non-www. If you try for www.wordpress.org, you will be redirected to non-www version. WordPress was probably one of the first bigger project website to exclude www part. Google, for the same reason like of Sanskrit now has no way to strip it out. They uses the subdomain as cookie domain. The IP can differ. Actually today we type on browser without typing the http:// part, the modern browsers all adds it. For other protocols like ftp:// we do need to add it. This Article Has Been Shared 7089 Times! 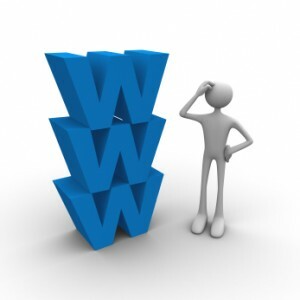 Cite this article as: Abhishek Ghosh, "Difference Between www and Non www URL," in The Customize Windows, January 12, 2013, April 24, 2019, https://thecustomizewindows.com/2013/01/difference-between-www-and-non-www-url/.